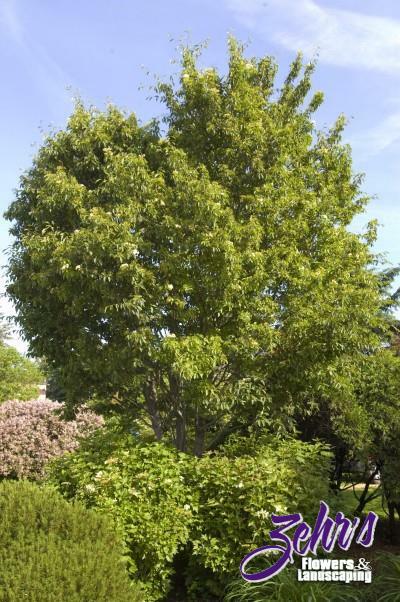 This hardy tree has small white flowers in spring that produce abundant clusters of scarlet berries in the fall. The smooth, dark brown bark is almost beech-like. Great all around tree, should be better known.